Nissan, Japan's second-biggest automaker, reported third-quarter profit that beat analysts' estimates as the carmaker reached record sales in China. Net income was 82.7 billion yen ($1 billion) in the three months ended Dec. 31, the company said in a statement Wednesday. That compares with the 71.3 billion yen average forecast of seven analysts compiled by Bloomberg. 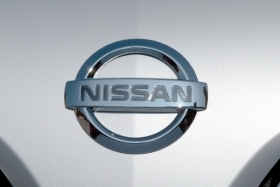 Nissan maintained its forecast for 290 billion yen in net income for the 12 months ending March 31. Nissan's sales in China rose 22 percent last year, while Toyota's deliveries slowed to 4 percent after the March earthquake in Japan and floods in Thailand disrupted output. Chief Executive Carlos Ghosn, who also heads partner Renault, said last month he expects a record year for the automotive industry this year, with growth in the U.S., China and most developing countries. "Nissan was barely affected by the natural disasters last year, so we can expect them to continue growing this year," said Mitsushige Akino, at Ichiyoshi Investment Management Co. in Tokyo. "Nissan has the ability to flexibly adjust production in regions where demand is strong, so even if it slows down in certain regions, it shouldn't be difficult for them to make it up elsewhere." Nissan's global sales rose by 14 percent last year to a record 4.67 million vehicles, as gains in overseas markets offset declining deliveries at home, the company said last month. Sales rose 22 percent to 1.25 million units in China, its largest market, the automaker said. Nissan said it sold 1.205 million vehicles in the third quarter, up 19.5 percent from the previous year. U.S. sales for the automaker rose 10 percent last month, led by the mid-size Altima sedan, Rogue compact crossovers and Quest minivans. In 2011, Nissan sold a record 224,509 autos in Mexico, up 19 percent from the previous year, according to the nation's auto dealership association, known as AMDA. The automaker said last month it will spend as much as $2 billion on a third factory in Mexico. The company shifted production of low-cost cars to Thailand and Mexico in recent years to counter losses from making vehicles in its home market as the yen appreciated more than any major currency since 2010. Toyota, which yesterday raised its profit forecast 11 percent, reported a 14 percent quarterly drop in net income to 80.9 billion yen. The automaker raised its vehicle sales forecast for the second time in less than a month as it rolls out new versions of the Prius gas-electric hybrid car and Lexus luxury vehicles, joining Honda in predicting record deliveries in 2012.